Think twice before calling them apathetic and disinterested though. 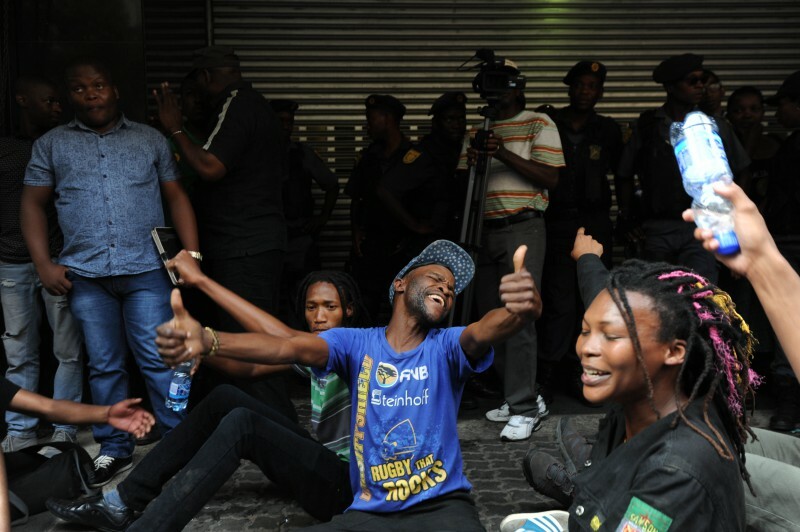 South Africa’s youth-led movements such as #FeesMustFall and #RhodesMustFall provided contrasting views to perceptions that young people are apathetic and disinterested in the future of their country. But the protests didn’t quite dispel concerns about their lack of political involvement, particularly during elections where there’s been low youth voter turnout. So we asked young people what they thought about politics. Our research involved focus groups with South Africans aged between 15 and 25 years of age from very different backgrounds. Sampled areas ranged from the rural Eastern Cape, to peri-urban Orange Farm and middle class Kensington, a Johannesburg suburb, among others. What was clear from the research is that young South Africans are engaging with politics very differently to the way in which young people got involved in the 1976 Soweto uprising. They have found new platforms and ways to share information, make their voices heard and ultimately be politically engaged on the back of growing internet-based communication, especially social media. In 1976 young people taught South Africa they can’t be ignored. They are a powerful force that can shift the course of a country’s future. Today’s youths are no different. They are interested and engaged. Most indicated they held little faith in the current leadership of the country. They found political leaders to be self-serving and disinterested in them and their communities. While they enjoyed watching parliament in action, this was because it provided entertainment value rather than serious content. Well, there’s the ANC, an old promising party that is no longer keeping its promises; then follows the DA, which is led and dominated by white people, and you’d think when they are in power they may neglect us and care for whites only, and also there is Malema, who we think is going to corrupt us, so you just think it’s better not to vote. Personally for me I would vote for a party that I have seen making the biggest difference but everyone is fighting in parliament and they are not going out and making the difference that they are supposed to. And when it comes to voting time, then all the municipalities jump up and start to do what they were supposed to do. I think that’s the thing. We don’t know who to vote for because no one is making a big difference. They also held very fervent issues-based views. The focus groups prompted heated debates about xenophobia and the role of foreign nationals in their communities. The participants also felt strongly about common challenges in their communities, such as substance abuse, crime and teenage pregnancy. Our research indicates that young people are thinking about key issues in their communities and that they’re getting involved, particularly where issues affect them directly. The difference between this generation and the 1976 generation is they’re doing so in non-formal ways. This article was co-authored with Lauren Stuart, Thobile Zulu and Senzelwe Mthembu.